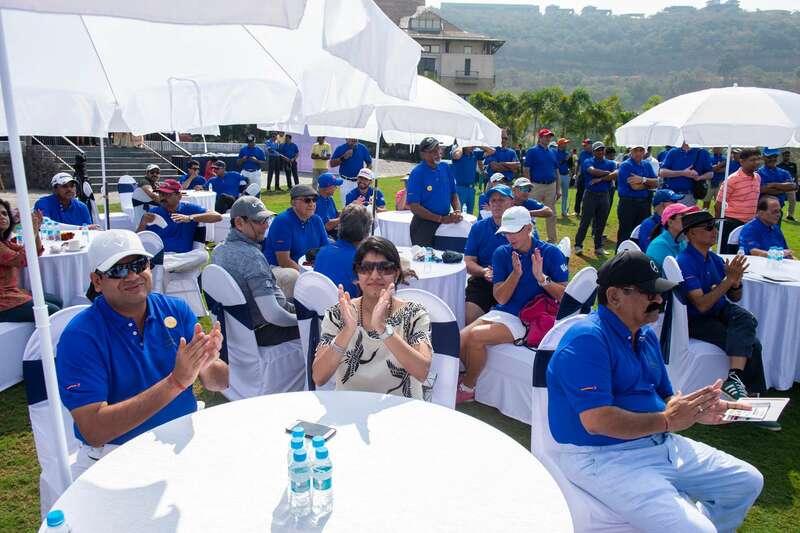 As they teed off at the Oxford Golf Resort in Pune on 8th December, no one was thinking about their myriad worries or life concerns. They had bigger (and better) things to think about. 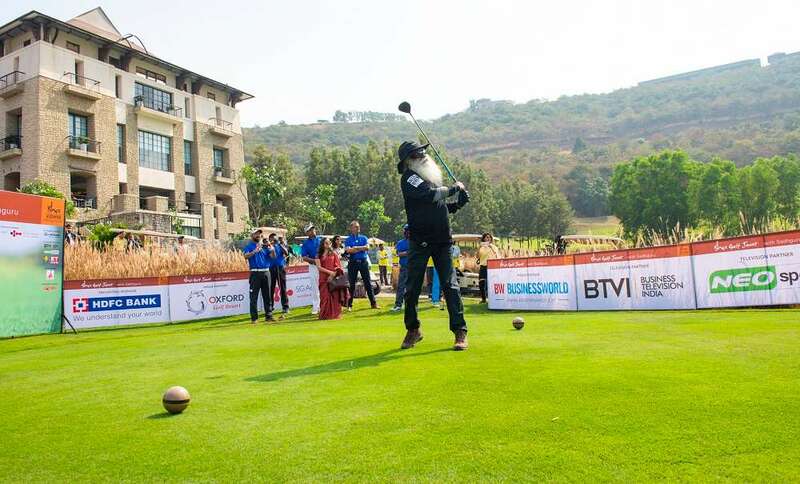 For one, they were swinging their irons to raise awareness and funds to change the landscape of rural education in India… and what more, they were swinging with the master himself – Sadhguru. Amongst the players were, Anirban Lahiri, an Indian professional golfer who currently plays on the European Tour, Asian Tour, and PGA Tour. 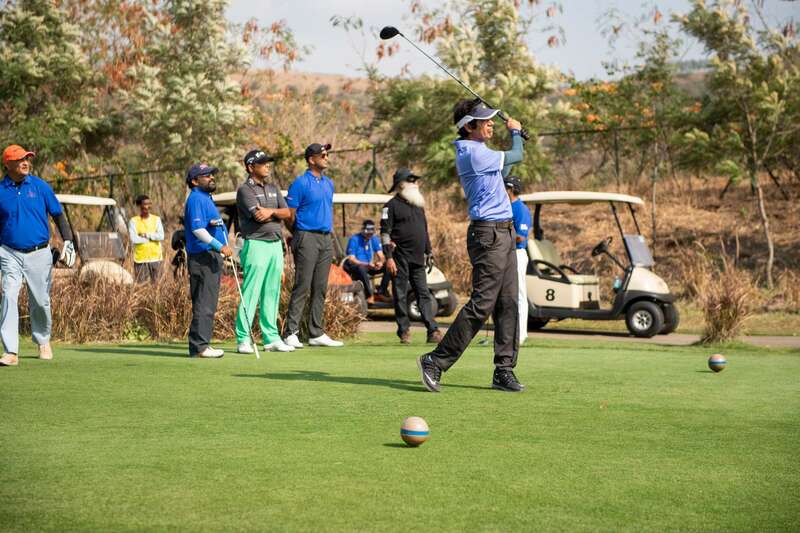 Isha’s annual golfing fundraiser, Isha Golf Jaunt, touched down in Pune this time, at one of the finest golf courses in the country, the Oxford Golf resort. Since 2012, Isha Golf Jaunt has been raising awareness and funds for Isha Vidhya, a rural education program that targets the most disadvantaged communities to offer quality education to children and give them a fair chance at breaking out of the cycle of poverty. Isha Vidhya schools and intervention programs in government schools touch close to 200,000 children in rural Tamil Nadu and Andhra Pradesh. The 2017 ASER (Annual Status of Education Report) that surveyed over 30,000 youth between 14 and 18 years of age in rural India found that over 20% could not read a class II text book in their regional language and over 40% could not read a simple sentence in English, pointing to the poor quality of education in rural India. Isha Vidhya is one of the initiatives that is trying to bridge this gap with innovative pedagogy and improved access to schooling. It is estimated that over 12% of rural households do not have a school within a 5 km radius*. In rural India where public and private transport choices are limited or non-existent, lack of access can in itself become a deterrent to school enrollment. Isha Vidhya opened its first school in 2006. In the past 13 years, several thousand first-generation learners have passed through its doors. Though the medium of instruction is English in all schools, Isha Vidhya employs bi-lingual alternative learning techniques that are creative, fun and enhance the learning process. The focus on English language and computer skills will equip students to explore mainstream employment opportunities, their only chance at lifting themselves out of poverty and improving living standards. Several business leaders and corporate houses have been generous in their support for Isha Vidhya through the Golf Jaunt. The education system in rural India needs urgent transformation and they are only too happy to support efforts like Isha Vidhya. They are encouraged by the effort and the results. Some of them have stood with us for many years now. With over 75% of India’s population living in villages, quality education is the only way to develop a better equipped workforce that can compete in the global market. The importance of good education cannot be overstressed. Back to the greens, the mood is infectious. The cause may be serious, but no harm in having fun addressing it. 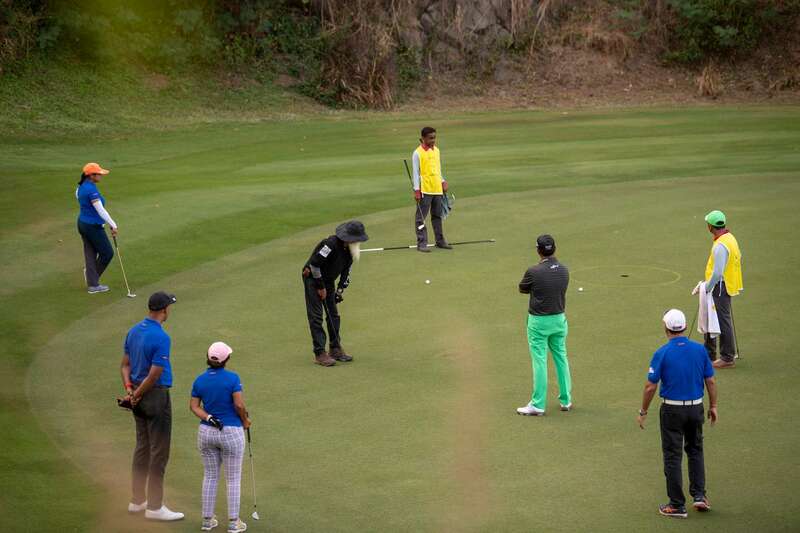 Sadhguru’s endeavor is to hit a ball with every participant and needless to say, the participants are overjoyed. The mood is festive, the conversation easy and friendly, the hospitality impeccable. The 18-hole course sits lush and welcoming. The weather is perfect for a day of golf. Needless to say, the Isha volunteers are all around with big cheery faces, welcoming the golfers and their families. To add melody to the scene, Sounds of Isha (SOI) plays appropriate tunes to add color and make about anyone tap their feet. A casual talk with any participant lets us know why they are all so excited about this event. So goes Harsh Hada, who has been supporting this cause since 2016. In his own words, "It's a real privilege to able to play for these kids. Isha Vidhya is providing about the same standard of education as that of any city school-going child. Not some small shanty or small building with teachers not coming. I motivate anyone going to Isha Ashram to visit the school to see what Isha Vidhya is doing with these kids." 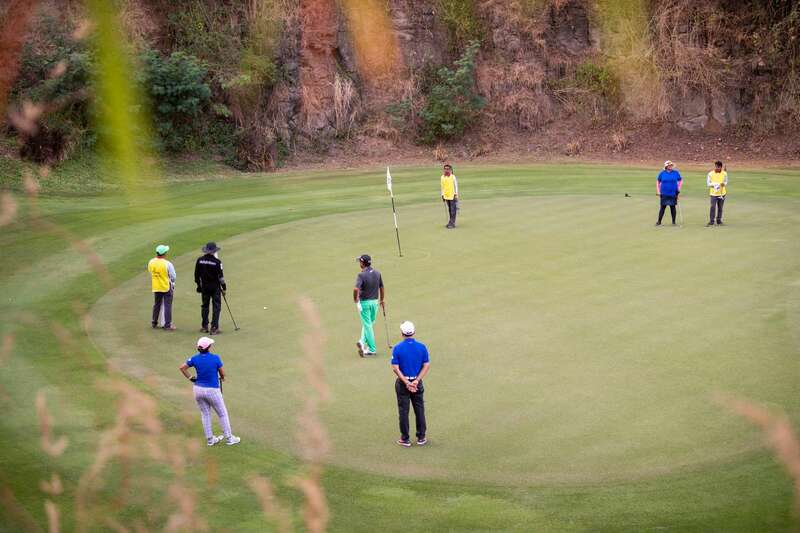 As the day winds down, energies don’t – as if to reflect the long haul of the cause that Isha Golf Jaunt is supporting. Once off the greens, the talk inevitably turns to the state of rural education in India and why efforts like these are necessary and important. Sadhguru’s views are typically forthright: “Unless we educate rural India, unless we create a competent population, there is no future for the nation.” Many agree. After the game winds up, every participant gets a chance to go the "Experience Center", where they interact live with the candidates in benefit of this cause – Isha Vidhya students from various schools. A change in the air happens, when one these remotely placed girl thanks her donor saying, "I don't know who is behind all this. I don't know my donor. But, it's only because of him this is possible. I thank him." The evening ends with Sadhguru giving a Satsang, where he unveils the mysteries of life and answers the questions of the participants. 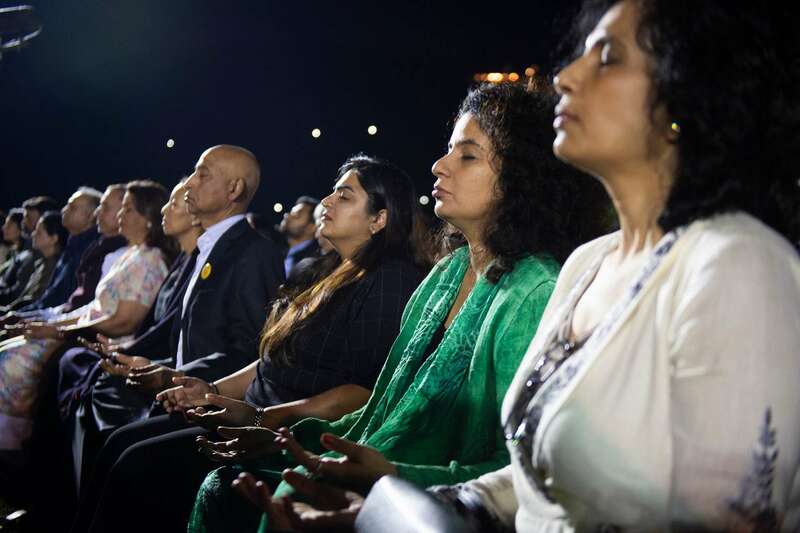 The audience also gets a chance to meditate under his guidance, the golfers turning into meditators in the process. Isha Golf Jaunt will return next year – a different place, a different time, different people but the same cause. Because it has made a commitment for a better tomorrow to the children in these remote schools in rural India. 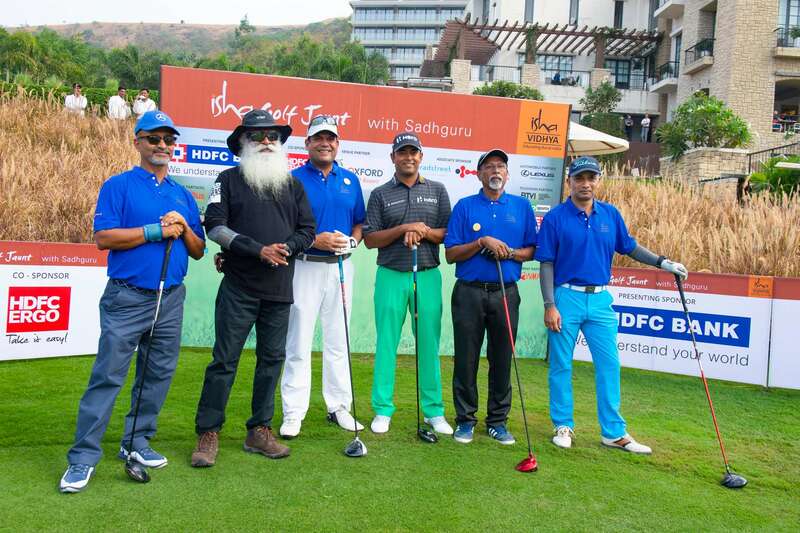 On a cool winter morning on December 8, Isha held the first Annual Celebrity Charity Golf Jaunt at Jaypee Greens Golf Course, Greater Noida.